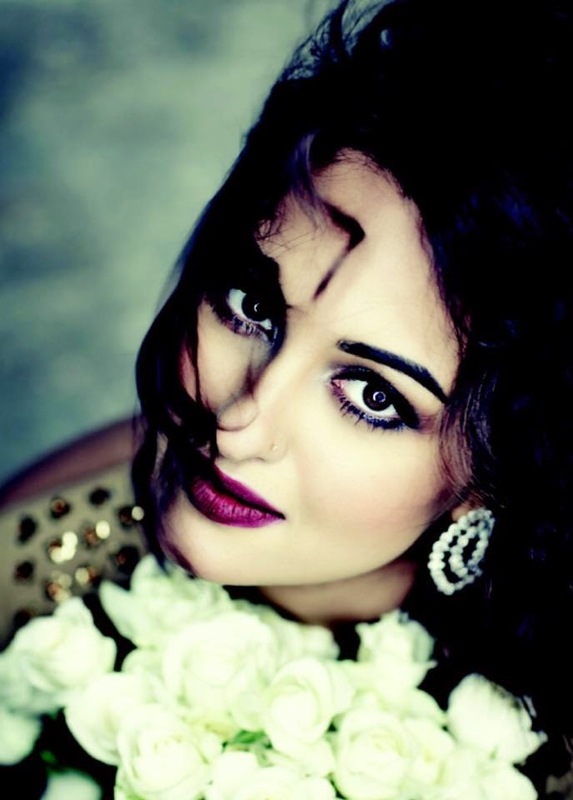 Home / Beauty / bollywood / Indian Bridal fashion | Sonakshi Sinha for Bridal Mantra magazine! 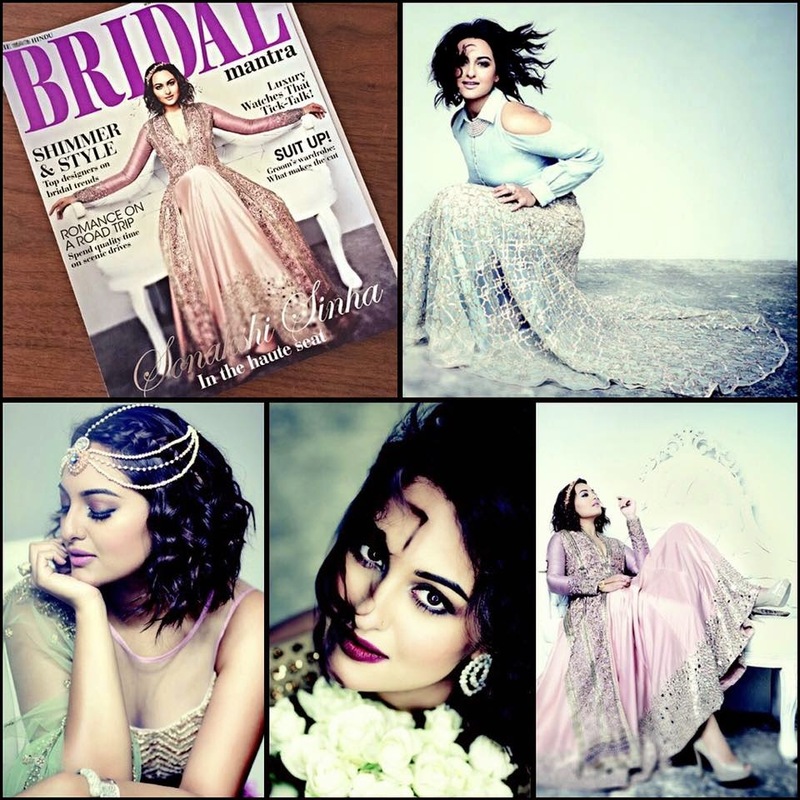 Indian Bridal fashion | Sonakshi Sinha for Bridal Mantra magazine! Indian Bridal fashion is taking lessons after witnessing Sonakshi Sinha's gorgeous cover stint for Bridal Mantra magazine! soft pastels, big blue skies and flowers blooming !! Romance of the nature and love for the countryside inspired this shoot. 1. Pastels are BIG - Bright vibrant colors, soft pastel shades and natural organic neutrals combine to make these wedding color combos you must try in spring 2015. Soft and Flowy Pastel gowns and lehengas will make the brides look as pretty as an angel on summer wedding ceremony. 2. Focus goes HEAD Up - 2015 is going to be all about the headpiece, but not in a festival way. Brides are gonna class it up with perfect and simple gold and pearl pieces that frame their faces and compliment their traditional outfits. 3. South Indian Jam - The gold and silver embroidery, which is a long-standing tradition in South Asian fashion and history, was the perfect subtle luxe touch for otherwise simple outfits. Inspired by South Indian Bride, having big blooms in your hair will make foe perfect summer bride. 4. Fuse it in style - You need not give a break to your western closet for that wedding season. Fusion on Indo-western outfits is here to RULE. The fusion of Indian elements and Western silhouette is bound to attract appreciation from one and all. Love the way the cold-shoulder shirt is paired with Zari skirt on Sonakshi. Sheer blouses, Wedding lehengas and Indo western Patiala suits are my personal favorite. 5. 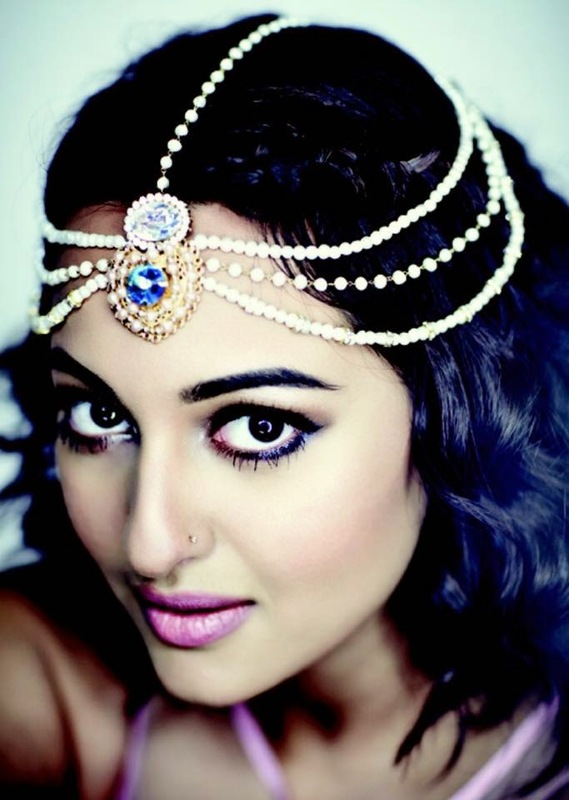 Fresh Playful Makeup - Contouring is probably the biggest make-up trend we learned from Sonakshi. Working wonders at sculpting faces and highlighting your best assets. It doesn’t have to be extreme though, add soft peaches and warm pinks to your wedding day make-up for a look that’s still a little chiselled, but bright and natural too. Don't forget to dump those red and pink lips in favour of mauve and peaches.